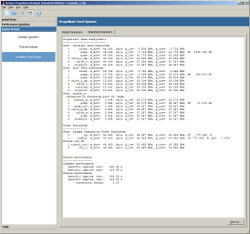 Cycle analysis module utilizes the results of performance analysis and thrust chamber sizing, therefore the user has to provide all design parameters required for performance analysis and thrust chamber sizing. Because the cycle analysis depends on results of performance analysis and thrust chamber sizing, it can be performed only if the mentioned two modules were succesfully executed. 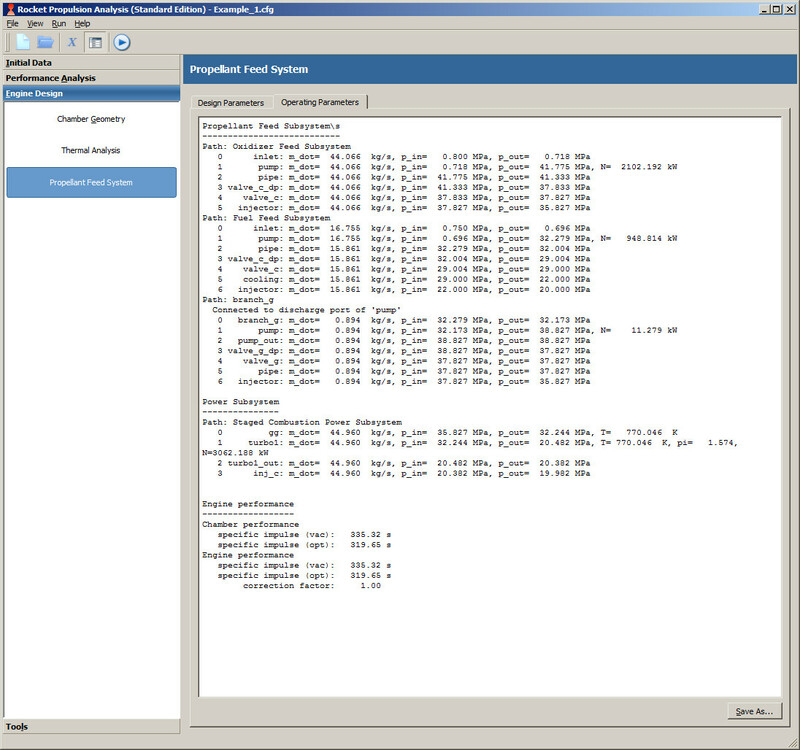 Similar to thermal analysis, cycle analysis can only be used with propellant components which were properly defined either in standard data library file <RPA installation directory>/resources/properties.inp or in user data library <user.application.data>/resources/usr_properties.inp. The proper component definition includes such parameters as density, viscosity, thermal conductivity, and heat of evaporation. These parameters may be defined either for normal conditions or for the range of conditions (pressure, temperature). 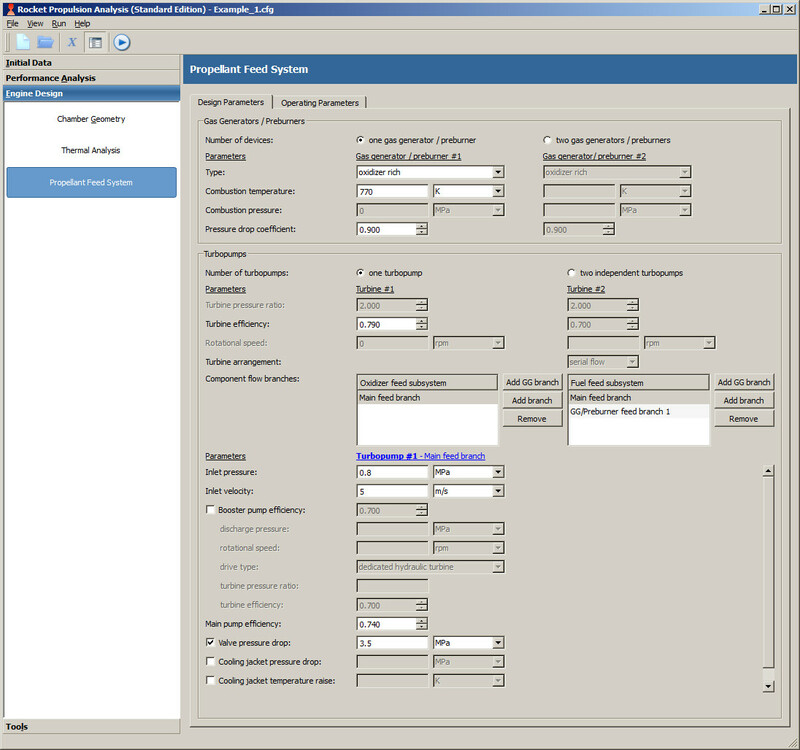 Physical properties of component at conditions within defined ranges are calculated using one of interpolation methods. 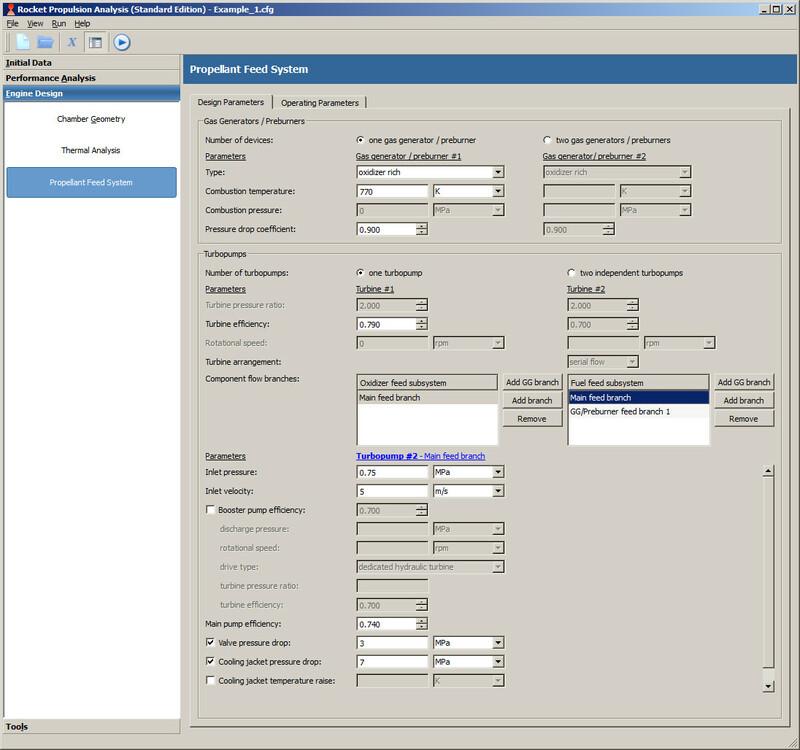 Component properties at conditions below or above defined ranges are taken at nearest point in the available range. 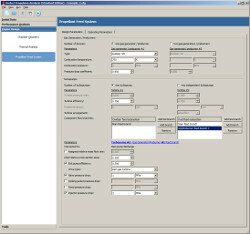 User may specify properties for further components, defining them in user data library file. 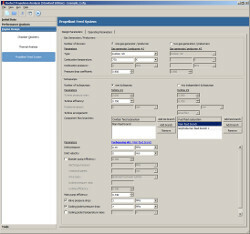 To make it easier, RPA provides embedded thermodynamic database editor. 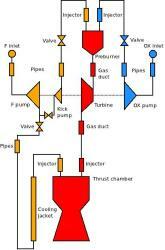 All cycles allow variations of the flow diagram including the number of combustion devices (gas generator or preburner), the number of turbopumps, arrangement of turbines (serial or parallel), availability of booster pumps, availability of kick pumps, availability of tap-off branches. GG cycle typically utilizes a fuel-rich combustion device (gas generator), because combustion products generated in such device usually have better energetics and lower chemical activity which allows higher temperature, which in turn provides yet more drive power. SG cycle may utilize both fuel-rich and oxidizer-rich combustion devices (preburners). The selection depends on concrete type of propellant: engines operating on liquid hydrogen are designed with fuel-rich preburner, whereas engines operating on hydrocarbon fuels are usually designed with oxidizer-rich preburner. Because of its design, FFSC cycle utilizes both types at once. 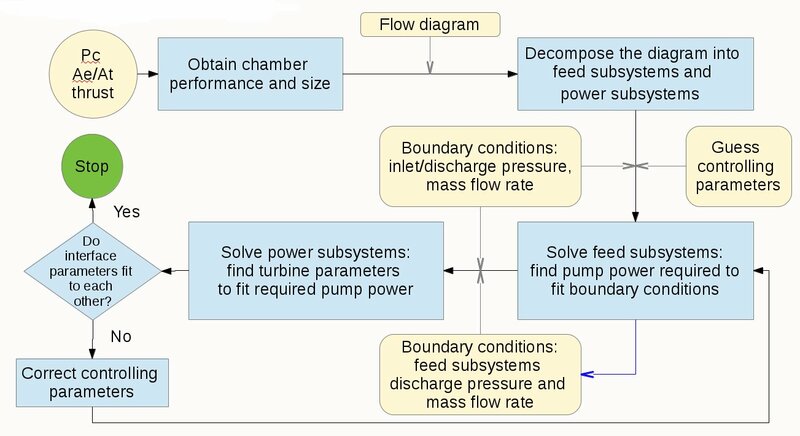 Propellant feed system flow diagram has to be defined. 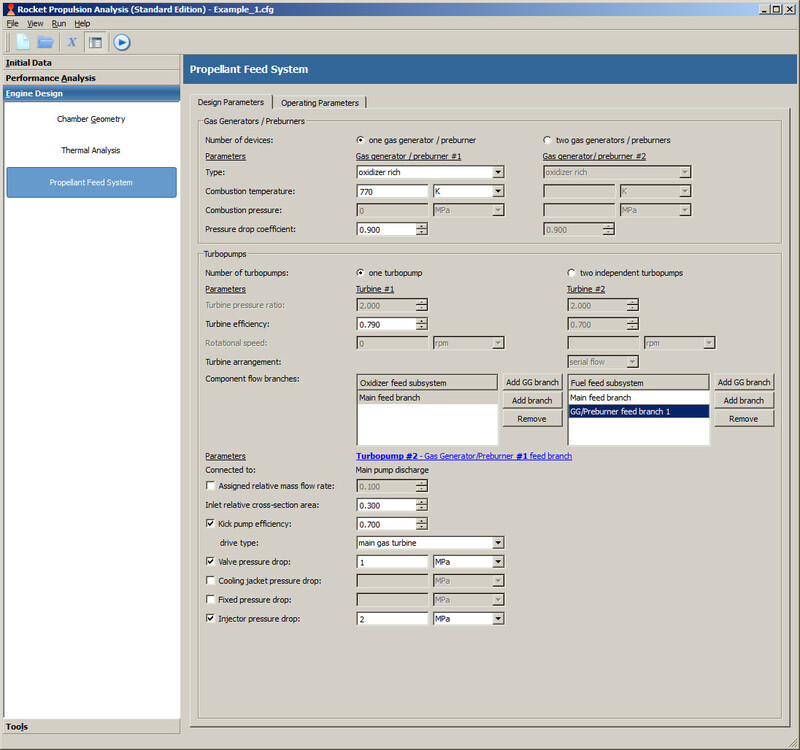 The current version of the program is capable of obtaining the operational parameters of the whole feed system, but parameters of many of its subcomponents have to be specified by the user. For GG cycle the gas generator pressure is an input parameter. For SC and FFSC cycles the preburner pressure is obtained by RPA as a result of analysis. Pressure drop coefficient 0.9...0.95 The value defines the pressure drop between injector of the combustion device and turbine inlet. The temperature in combustion device is limited by corrosion- and heat-resistance as well as high-temperature strength of used construction materials. Turbine Pressure ratio 10...20 Required for GG cycle only. Obtained by RPA for SC and FFSC cycles. 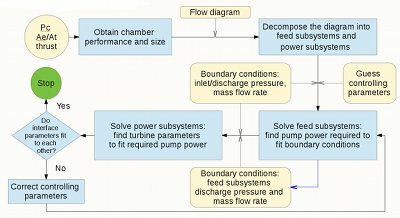 Kick pump Efficiency 0.3...0.5 If no kick pump is defined, the pump of the main branch has to produces such a discharge pressure that it fits to inlet of gas generator/preburner. Usually no kick pump is required for gas generator cycle, whereas an absence of kick pump in staged combustion cycle leads to significant pressure raise. Secondary feed branch Inlet relative cross-section area 0.1...0.3 Defines the inlet cross-section area of the branch relative to the inlet cross-section area the main branch. Inlet pressure of component (0.3...0.8) MPa Inlet pressure of component is defined by conditions in the component tank. Inlet velocity of component is mainly defined by mass flow rate and cross-section area of the inlet. In order to reduce the hydraulic losses, inlet velocity is usually selected from the specified range. Component (fuel or oxidizer) feed subsystem begins at component inlet of the fuel and ends at injectors of combustion chamber and/or combustion device (GG or preburner). It includes booster, main and kick pumps, valves, cooling jackets, injectors, and sub-branches. 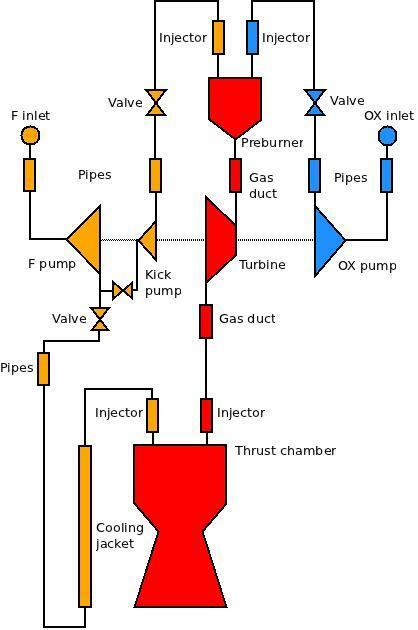 Power subsystem begins at combustion device (GG or preburner) and ends either at injector of thrust chamber (in SC and FFSC cycles) or at exhaust nozzle (in GG cycle). It includes combustion device, gas ducts, turbine, injector (in SC and FFSC cycles) and nozzle (in GG cycle). The subsystem consists of main branch only. How RPA solves the subsystem problems: Find such pump power that the required pressure is achieved at exit port of each branch (p_c and/or p_p). Find such parameters of combustion device and/or turbine that produced power is equal to required total pump power of the feed subsystem. 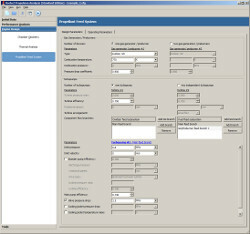 To demonstrate the selection and definition of input data, an example problem has been prepared using the flow diagram specified above.